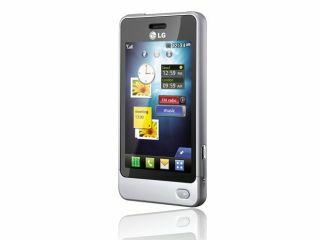 LG has announced the new GD510 Pop will be available on PAYG for under £100 in the build up to Christmas. The new phone is among the smallest produced by LG, coming in at just 97.8 x 49.5 x 11.2mm while still bringing a 3-inch touchscreen. It's running LG's high end S-Class interface too, which gives multiple home screens and widgets to customise your day to day use. It also packs a 3MP camera, and even allows you to charge the phone by the Awesome Power of the Sun, with a separately sold accessory. Users can add up to 8GB of storage into the phone through a microSD card, allowing audio and video to be used. It might not be in the same class as the Nokia 5530 XpressMusic, which retails for only £30 more but is a smartphone running Symbian S60, but it's likely the Pop will follow in the successful footsteps of the LG Cookie by being seen as a decent budget touchscreen option. Available today from The Carphone Warehouse for £99.95.